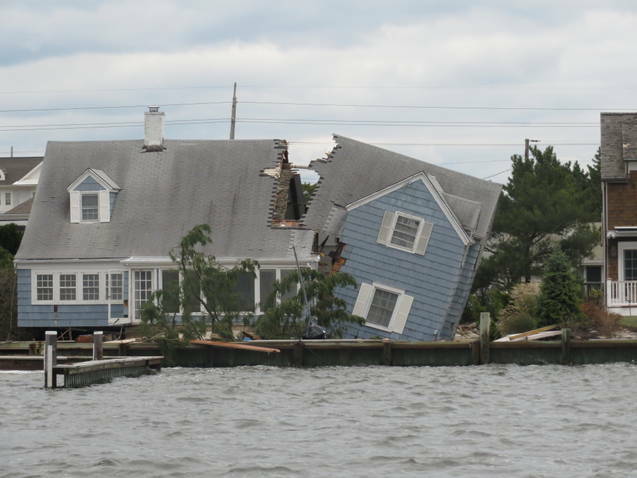 Or… did your home survive without a scratch like this one did? This Douglas Cutler Architects home on an island in Long Island Sound survived 3 of the worst storms in the last century! Whether you are still in recovery mode or preparing for the next big storm, it’s important to protect your home from hurricanes and flooding. Flood Zone construction is our specialty and we’re happy to speak with you about your situation and offer some guidance on cutting through the red-tape. Consult with Douglas Cutler Architects BEFORE dealing with your local planning & zoning departments. It’s so nice to hear from you and thanks for checking on us after Sandy. We are fine! This storm was a true test of the craftsmanship of your design. WIND & WAVES: Is Your Property in a V-Zone? Understanding the new regulations required to get you back into your home is vital to your success. All losses are terrible, but upgrading to FEMA standards is the best way to keep your family, and property, safe in the future. 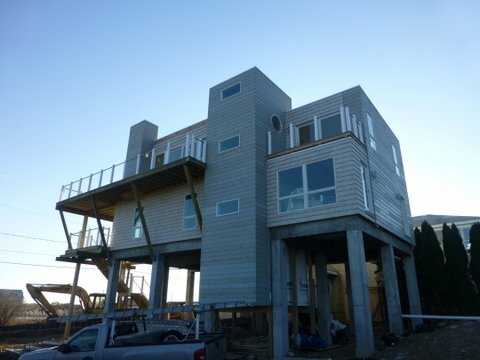 The design of a “storm-resistant home” is based upon the latest engineering requirement put forth by FEMA. 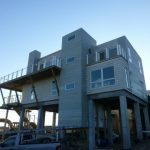 The FEMA regulations also require the design to resist 120 mph wind speeds and wave force on the foundation of 850 pounds per square foot laterally. 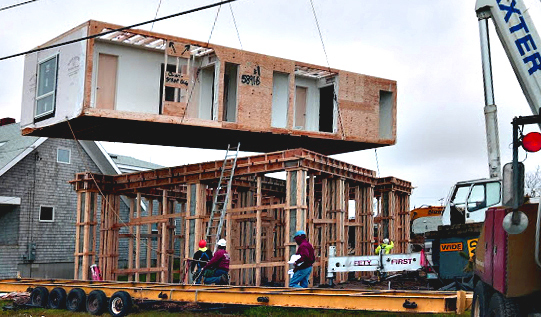 Modular homes are engineered for safe use in each specific geographic region where they are sold. 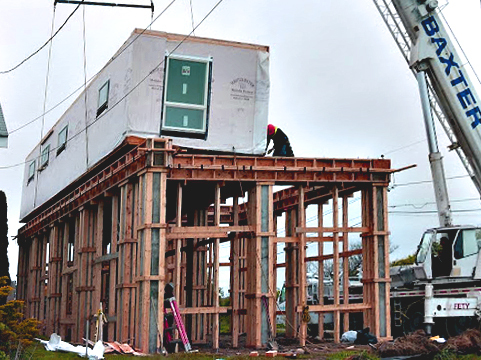 Modular construction may be the safest method on the market as strict adherence to all applicable building codes is enforced through required state inspections. 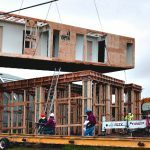 Modular construction technology employs methods of construction that include glue-nailed sheathing and decking with redundant framing members. 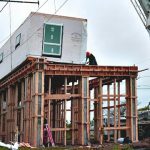 These methods make a modular home a safer place to hang your hat if you live in earthquake, tornado and hurricane prone areas of the country. 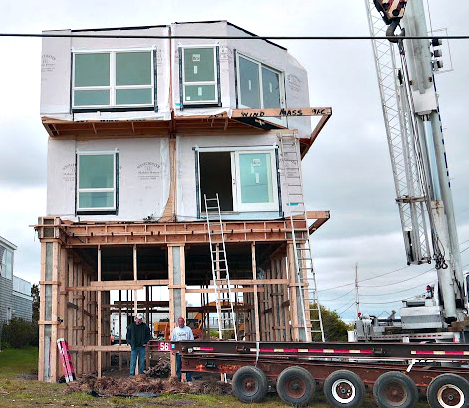 Modular homes are built to survive nature’s onslaught. 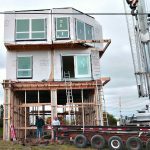 THE SPECS: Why are Modular Homes Storm Resistant? Our modular designs employ modular building methods and are comprised of a variety of modules that vary in size and number depending on the design requested. Shear walls are engineered in to the design to resist lateral loads caused by high winds. This is achieved with specially designed construction panels, light weight and affordable to the design forces that would be encountered. Special steel anchoring systems were carefully planned to resist wind forces as well. These can vary from anchor bolts, to hold down rods and/or steel straping in selected areas depending on the geometry of the the building. This is all conceled so as not to disturb the aesthetics of the building. The foundation is designed with reinforced concrete and shaped with a concrete “mat “foundation. 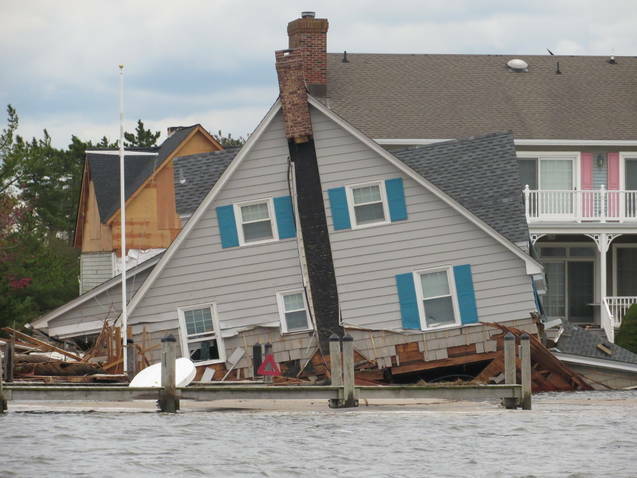 Mat foundations are designed to help mitigate “underscoring” from the movement of the ocean. The connections of the reinforced concrete piers to the mat foundation are designed to resist significant lateral forces of a storm. Storm resistant windows are always specified into the designm as well, to give maximum protection to the building envelope. Our firm will plan and coordinates all design issues into a finished design that is aesthetically attractive. Remember. No home can be made 100% storm proof. But with the home technologies available today, we can design and build homes on the beach, rivers, or lake fronts that can stand up to the toughest conditions that Mother Nature has to offer. 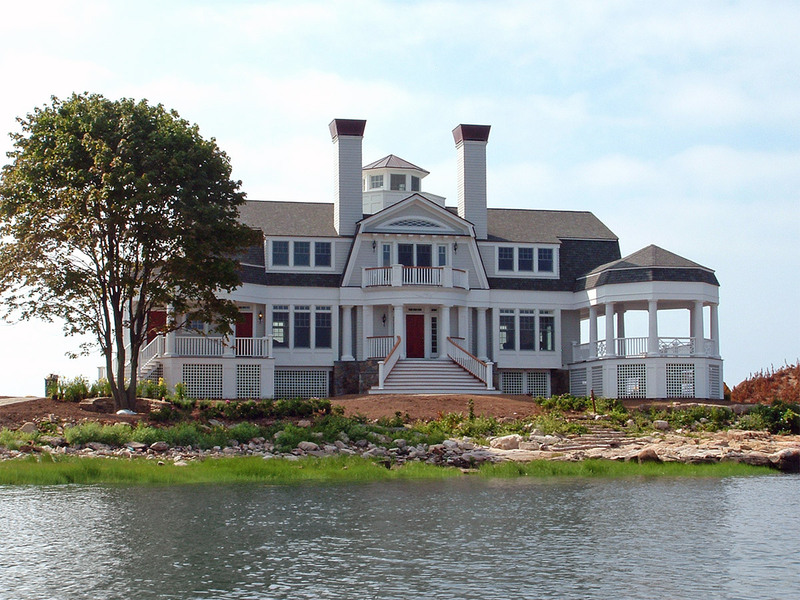 Beautiful and Storm Resistant… It Can Be Done!